Six Ohio men, including a trooper from the Ohio State Highway Patrol, were charged with drug trafficking in U.S. District Court Tuesday. Nicholas Glassburn, 47, of Delaware; Carlos Carvalho, 42, of Sandusky; William Covrett, 41; Jason Delcol, 43, of Delaware; Benjamin Owings, 37, of Delaware; and Stevedore Crawford, 55, of Columbus, were all charged with possession with intent to distribute and distribution of controlled substances, as well as conspiracy to possess with intent to distribute and distribution of controlled substances. Additionally, Glassburn, Carvalho, and Covrett are charged with money laundering. Delcol and Owings are also charged with possession with intent to distribute and distribution of human growth hormone, and Delcol is also charged with one count of witness tampering. According to the criminal complaint filed by the FBI in U.S. District Court in June 2017, the Delaware County Drug Task Force began working with the FBI and opened a criminal investigation into Glassburn for drug trafficking charges. 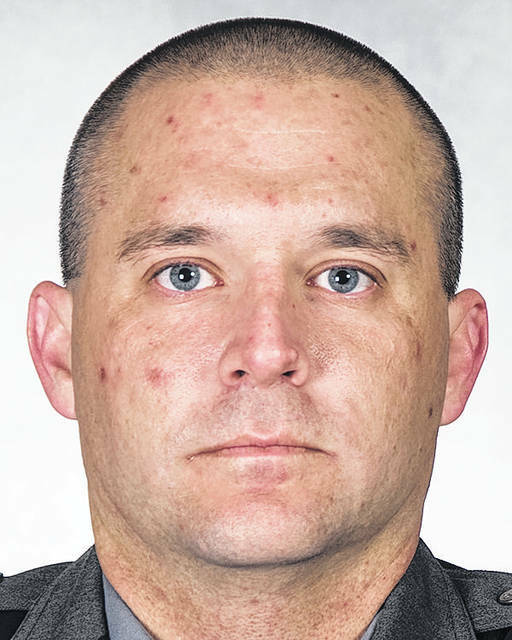 As investigators gathered evidence, they learned that Glassburn was trafficking drugs with the other five men, including Delcol, who is an Ohio State Highway Patrol trooper. The criminal complaint alleges that Delcol used his status as a trooper to assist and to protect Glassburn. “According to the affidavit, Delcol has used his position as a law enforcement officer to provide Glassburn with information, intervene in criminal cases of Glassburn and Owings, provide Glassburn with ballistic vests, and corroborate Glassburn’s alibi to law enforcement when Glassburn was caught transporting drugs in August 2017,” U.S. Attorney Benjamin C. Glassman said Tuesday. On one occasion in August 2017, a Mt. Gilead police officer found Glassburn asleep behind the wheel of a vehicle and found cocaine in his vehicle. The complaint says Glassburn told police that he had found the drugs in one of his children’s rooms and had asked his friend, Delcol, what to do with them. After the call, police collected the drugs, but released Glassburn. On Wednesday, OSHP Public Affairs Commander Lt, Robert G. Sellers issued the following statement regarding Delcol. According to the complaint, investigators discovered communication between defendants about drug trafficking, including HGH, testosterone, Xanax, Oxycodone, Percocet, Adderall, Suboxone, cocaine, crack cocaine and marijuana. The investigation also showed Glassburn owed $17,000 to Carvalho for marijuana. It is believed that Delcol provided ballistic vests to Glassburn, which he used in meeting with Carvalho. The investigation revealed that Carvalho is likely one of Glassburn’s main sources of supply of drugs. Law enforcement surveillance shows Delcol visiting Glassburn’s residence at least 16 times since October 2017, including at least two occasions in which Delcol was driving his Ohio State Highway Patrol-marked cruiser and in uniform. Further investigation revealed communications between the men discussing drug trafficking of HGH, testosterone, Xanax, Percocet, and possibly other opioid pills. It was also revealed that Delcol is a middleman between Glassburn and Owings. Owings supplies HGH and steroids to Delcol, which Delcol sells to Glassburn, and Glassburn sells pills to Delcol, which Delcol sells or gives to Owings. All six men have been arrested and were in federal custody Wednesday pending detention hearings on Thursday at noon and 12:30pm. If you have any information related to these allegations and the individuals named, please contact the FBI at 614-224-1183.